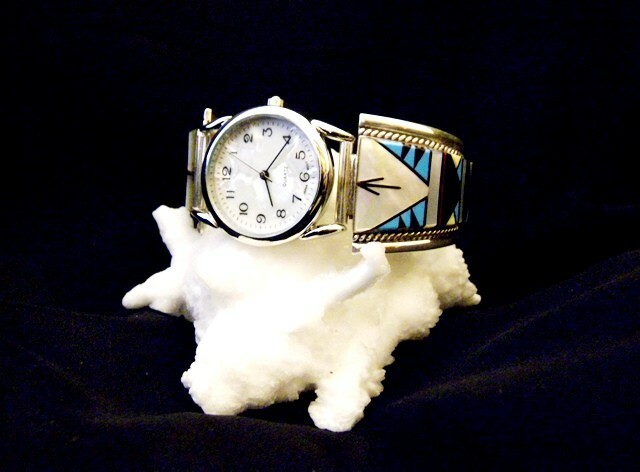 Inlay sterling silver Men's watch band. Set with Sleeping Beauty Turquoise, Jet, Coral, White & Gold Lip Mother of Perl. Hallmark TJ.